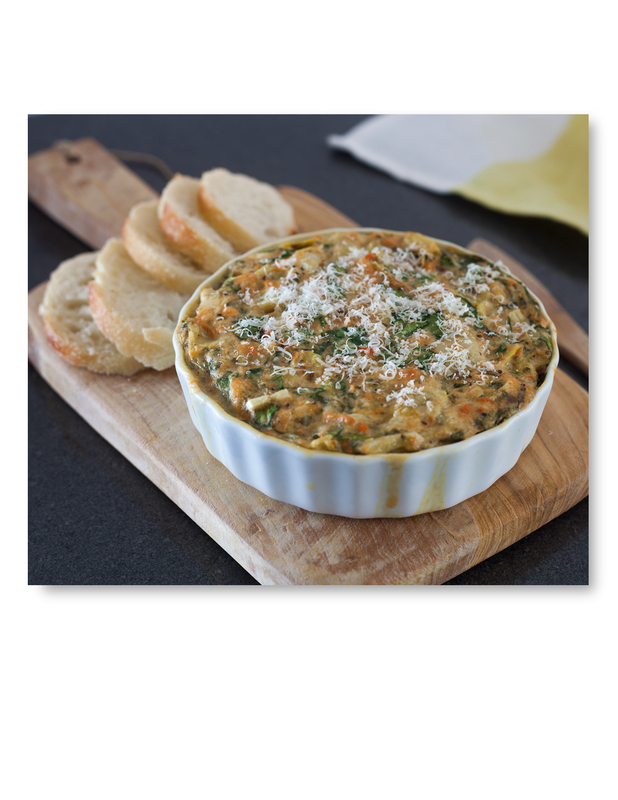 This dip is so easy to make for a party or a holiday meal. The recipe is very traditional, but with the addition of dried cranberries and toasted pecans it takes on a very festive vibe. In a medium bowl combine all ingredients except pecans and stir by hand or with an electric mixer on low. Put dip in baking dish and top with pecans and bake for 10 minutes or until bubbly. Serve with crackers, bread or sliced sturdy fruit. Looking forward to trying the recipies! Thanks! Let us know any feedback you may have.